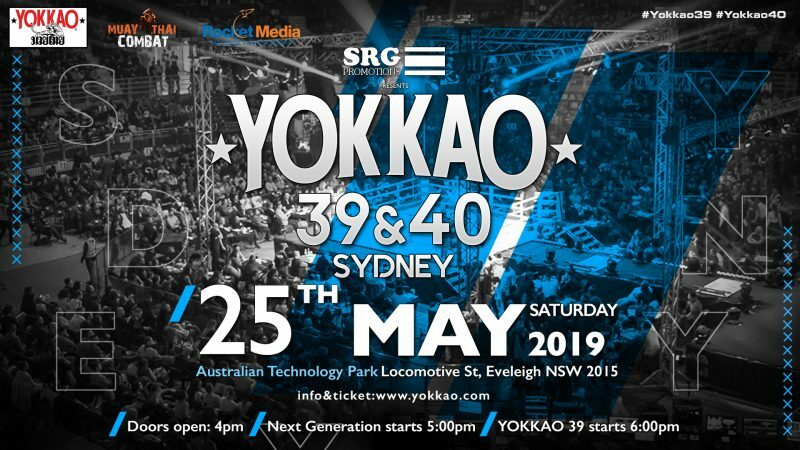 YOKKAO is making its way back to Australia, marking its fourth visit to the country. Three Next Generation events have been held in the land down under to date and it is time to take it to the next level. Coming this 25 May, Australia will host the 39-40th edition of the promotion’s signature official event. Australia has produced a series of renowned world champions with some of the most passionate fans of the sport. Some of the notable Australian Muay Thai fighters include John Wayne Parr, Toby Smith, and Victor Nagbe who fought Saenchai on YOKKAO 7. YOKKAO 39 – 40 will be organised with long-time partner, SRG Promotions. SRG is also an official YOKKAO affiliate training centre and a well known Muay Thai gym in Australia. This entry was posted on Wednesday, April 10th, 2019 at 2:15 PM	and is filed under News.